Google Groups is one of Google's most useful yet seemingly neglected apps—and it's the best way to email everyone on your team. It's in many ways a traditional forum app. Anyone in your company can create a new group and share it with your team, and can then follow the group via email or by checking replies online. 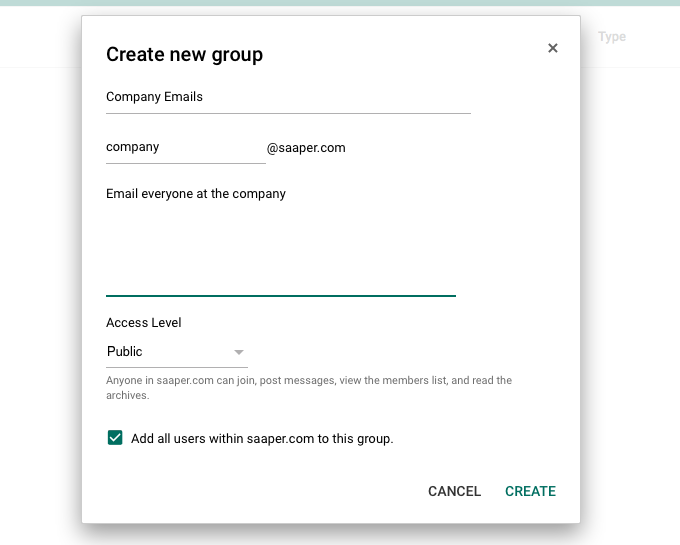 Or, as a G Suite Admin, you can make a company-wide group to share stuff with the entire team. You'll add a new Group, give it an email address like company@yourteam.com, and then whenever you need to share something with the team, you can email that address and Google will share the message with everyone in your company. First, though, you'll need to add the Google Groups app to your G Suite admin pane. 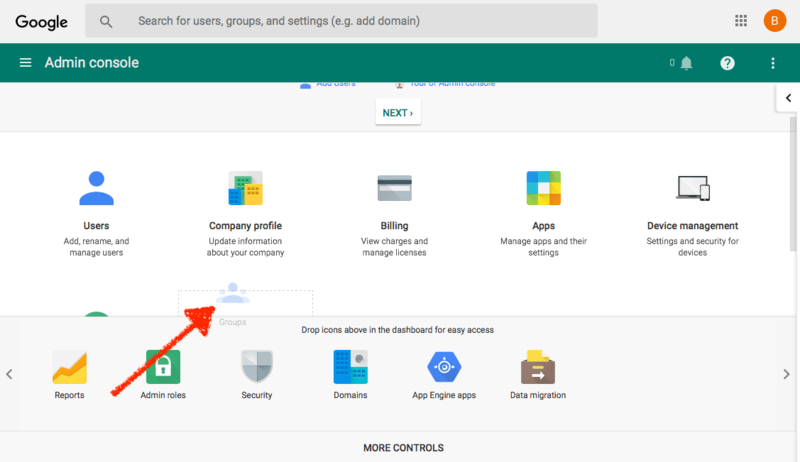 Just open your G Suite admin, click More Controls on the bottom, then drag the Groups icon to your main settings. Now, click the Groups icon, and click the + icon in the lower right to add a new group. Give the group a name, add an email address for it, and a description. At the bottom, check Add all users to make sure everyone in your company is added to this group automatically. Public so anyone in your company can join, read, and post messages—the default option. Team so only managers can invite people but any member can post and read messages. This option lets you invite people outside your G Suite team to your group—perhaps as a way to share emails with your team and partners. Announcement-only so anyone in your company can join and read messages, but only managers can post messages and see member list. Restricted so only managers can invite people, but any member can see the member list, read, and post messages. A restricted or announcement only group likely makes the most sense for company announcements; a public list might make sense for sharing product launches or making less exclusive lists. Team groups then are great for smaller teams in the company to use for collaboration. With that done, just open your G Suite Gmail account and send a message to your new group email. Seconds later, everyone in the company will get that email in their inbox—and their replies will be shared with everyone. 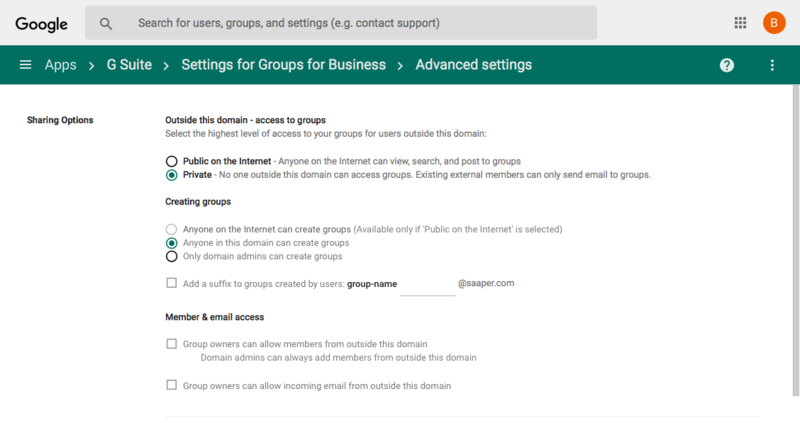 To tweak your company's Google Group settings, go back to the G Suite dashboard, select Apps, then select G Suite, and click the Groups for Businessoption there. That'll give you company-wide settings on what type of groups can be created and let you enable public groups to share info publicly on the internet. 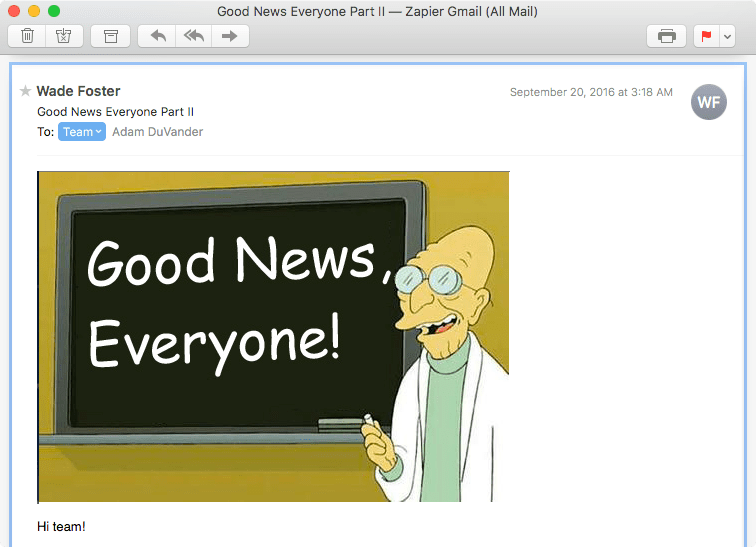 Just be careful: you likely don't want your company-wide emails getting published online.